Think outside the square stainless steel sink. 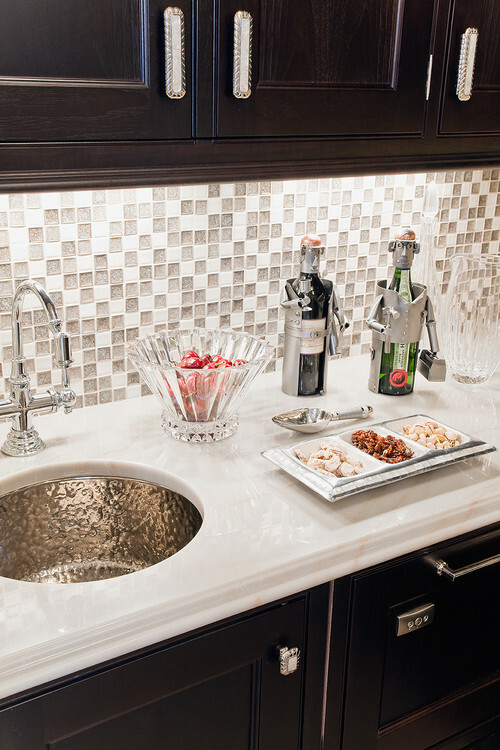 A Bar Sink is a great place to add some fun to your home! There are a lot of beautiful and unique bar sinks out there. 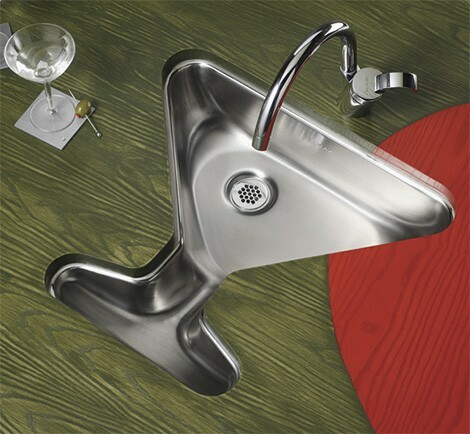 The Mystic Martini Bar Sink from Elkay couldn't say "bar sink" any better. Very cool hammered stainless steel sink, again from Elkay. 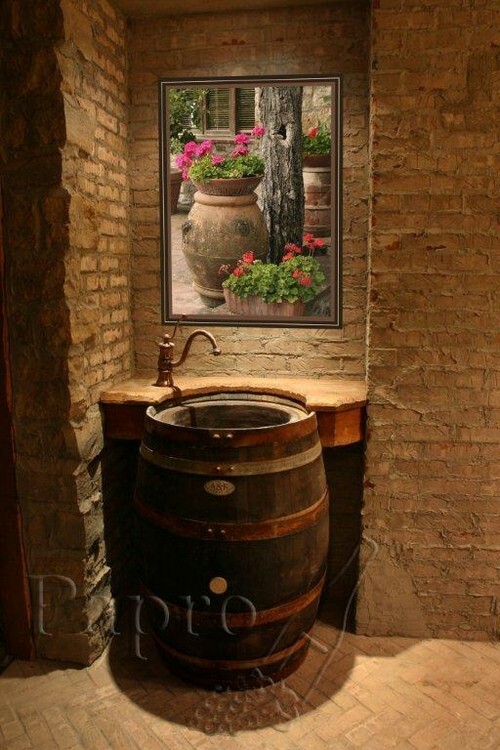 I'm assuming this wine barrel sink is custom made. 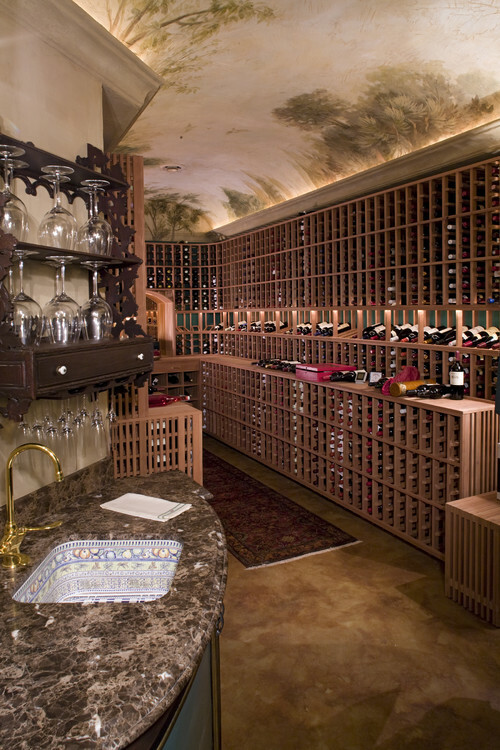 This is in a wine cellar. Such a fun & unique idea! 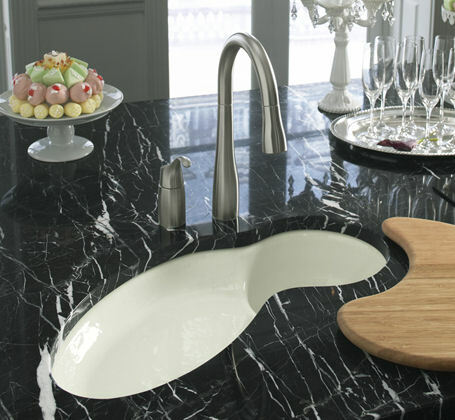 Kohler's Fete Sink is made of cast iron and comes in a variety of colors. The Luna Copper Sink from Native Trails is a great entertainment sink. Fill it with ice and you can serve your drinks from the sink with the food sitting around it. It's also available in Brushed Nickel. 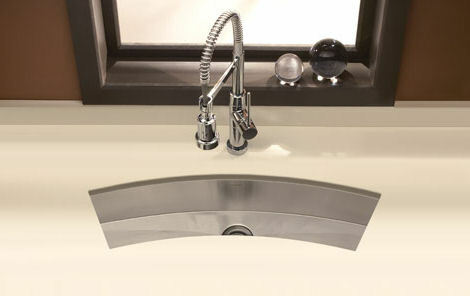 I like the simplicity of this next sink from Houzer. Simple but unique, the Rio Grande from Native Trails. Last, Elkay's Mystic River in the Antique Hammered Copper finish. This sink was named "Best of the Year" in the Kitchen: Plumbing Accessories category in 2007 by Interior Design Magazine. Thanks for participating in my giveaway - Good Luck! The martini glass sink is so cute. I would love to have that kind of sink at home.